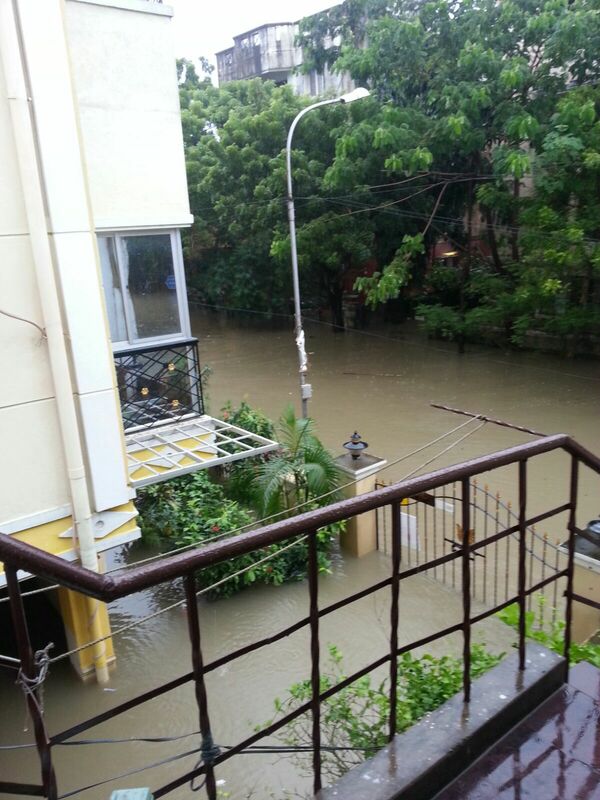 Sandhya's Blog: #Chennai #Floods- When Essay Topics Became Reality! We sang this song, written in Tamil, in Amritavarshini raga everyday in school! Why? Because two months before, all that anybody saw in Chennai streets was water lorries providing water to houses and people trying to manage the water scarcity! I think we were all a little too sincere while praying for rains! What will you do when you don’t have internet for a week? What will you do if there is no electricity for one whole week? What activities will you engage in if there are no gadgets for a week? I never saw any of these questions as anything more than common essay topics, especially living in a city! 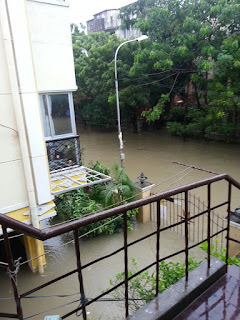 Yet in the past ten days many people of Chennai, including us, saw all of it come true. No gadgets. No electricity. No internet. 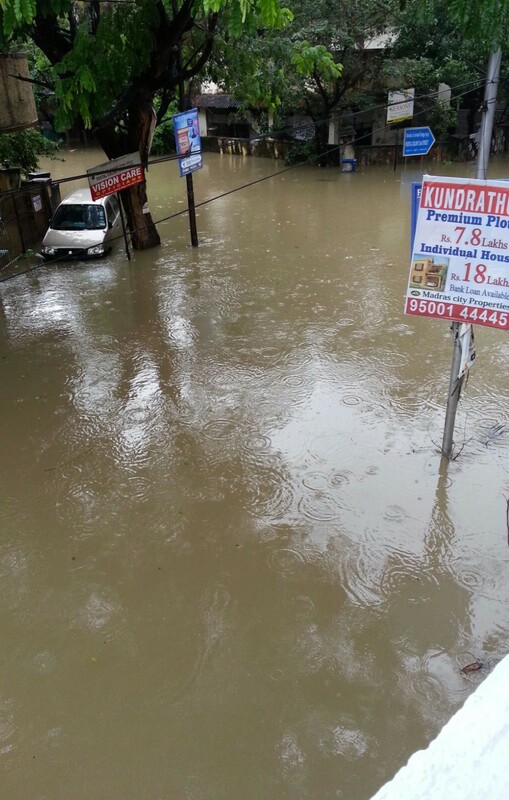 On the first of December, it rained heavily in Chennai. The intensity was very high. The streets were already inundated, and this made it only worse. But even then, we didn’t have any problem in our house though we were in the ground floor. Our house is raised a good four feet from the road, so no water came in. The next day, the rain stopped. We were already running two days without any power supply. 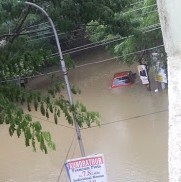 They had shut it down for safety purposes due to water logging in our street. It was the third day. On December 2nd, it only drizzled but the water level kept increasing. Eleven thousand cusecs of water was being opened into the city from the Chembarambakkam reservoir. The water level in the street was quickly rising. It started climbing up the slope of our parking dangerously fast. Anytime a vehicle passed, the water surged into the parking lot with a swoosh. We weren’t very sure as to what to do. Should we pack up all the books and other goods in the house? Will the water come in? Or will it stop rising and recede? 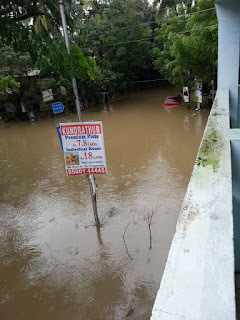 We got the signal to pack up things to safety by 1.30 pm that day when the water had completely encroached our entire parking, and was slowly making its way up the house stairs to the entrance. A brave man taking his chances! We started clearing everything in the hallway of our house and dumping it in the bedroom upstairs (our house is a duplex model, thank God!). It took us just one and half hours to pack up everything! My dad asked us to imagine and think as to what would get spoiled if there was hip-level water inside the house. Only our refrigerator couldn’t be shifted anywhere. We couldn’t do anything about it. We left it that way. When we checked again, the water was in the last step. It would be a matter of minutes before it would come in! So, we gobbled up our lunch, took the essentials, and shifted to our neighbour’s place in the first floor. And at three in the afternoon on December 2nd water entered the house. We looked down anxiously from the neighbour’s balcony as it started raining again. A transistor of our neighbour’s helped us know some news. But it was bad news! From eleven thousand cusecs, they had increased the flow to sixteen thousand cusecs! The water level kept rising! My mom was terrified. It rose from knee level to hip level to chest level to neck level! Water was flowing at a terrific speed. By the evening, it was pitch dark. We couldn’t communicate to anybody because we had very little saved battery. Even when the battery was there, there was no cellphone tower and the calls simply failed! By the night, the news from the transistor informed that 30,000 cusecs of water was being released! We just prayed and went to bed early after dinner. I fell asleep. My parents told me the next morning on December 3rd that the water had been flowing at its peak around 2 am that morning. But by the time I woke up, it had receded. It was still in the parking area but had receded from the house. 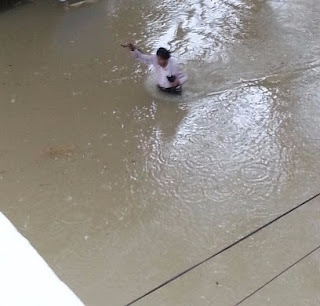 My mom and dad went down to our house and started cleaning as our neighbour, who has experienced two earlier flood situations, advised them to clean the house while the water was receding and not let it go dry with dirt. It was a laborious job! The water had brought along with it fine mud and a all species of insects, both dead and alive! There was the smell to be taken care of too! They cleaned the house with salt and Dettol over and over again. It also took a long time to dry since there was no fan! Even the city was so! In between all this, there was the shortage of milk! We couldn’t lay our hands on milk packets at all! Even if we managed to get a few packets, they got spoilt real quick and couldn’t be used. Amulya milk powder helped us a little. 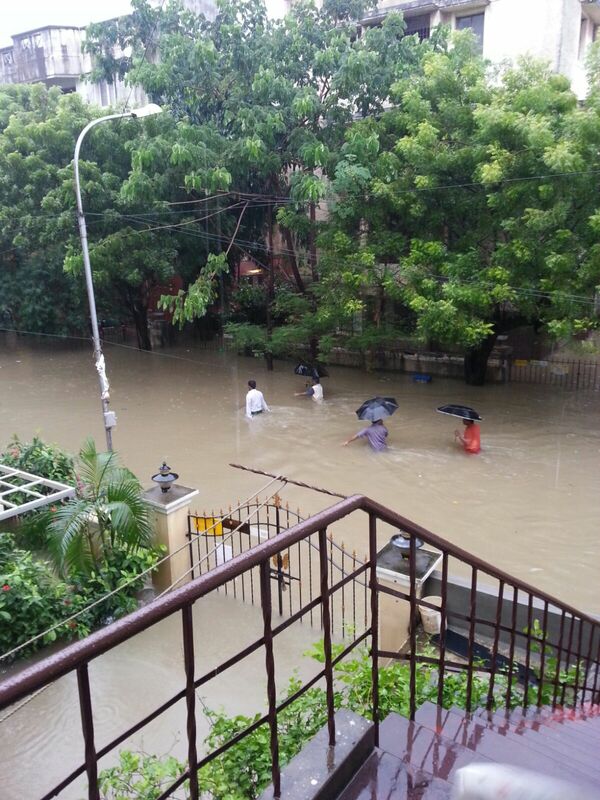 Also, bread packets and milk packets from Shree Mithai, delivered at our doorstep, helped us greatly! Drinking water that we had stored was also getting used up. We shifted back to our house on 4th December. 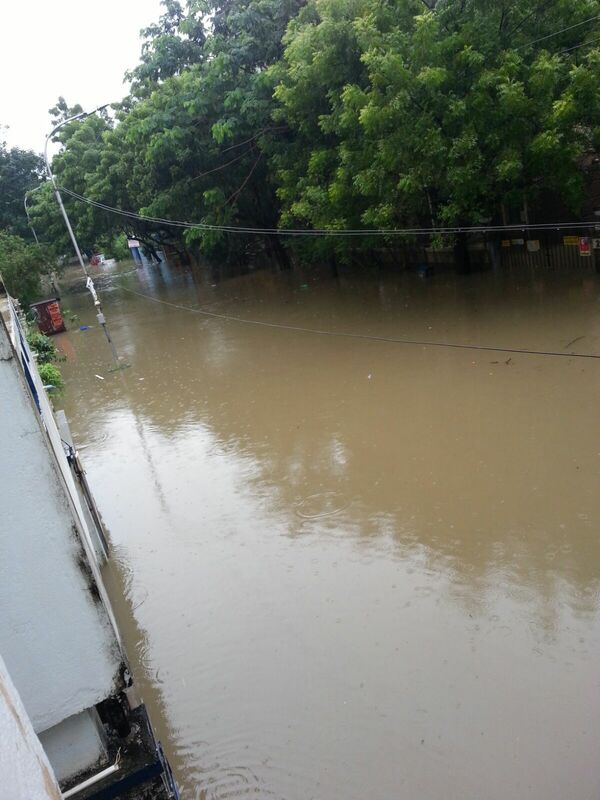 All of Chennai seemed to have got electricity but not us! We suffered for three more days, and finally, we got it today- December 7th- ninth day from when we last had power! 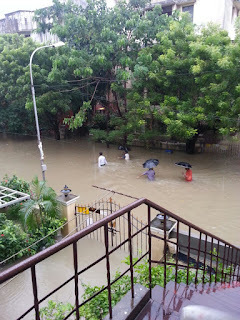 I never believed it could rain so much in Chennai as to bring water into my house! Most part of the mornings were spent staring at the flood water and debating if it was receding or rising, or when we would get back power. The mornings passed quickly and easily. Only after five in the evening, time was difficult to while away. We would look at the clock at 5:40, and look at it again at 5:43! Evenings were the most difficult part. Anyway, it’s all getting better now. Thanks to all those relief volunteers for their work! Thanks to all my friends who offered their help! Thanks to everybody! From water scarcity to not knowing what to do with so much water, it has taken nature barely two months to change Chennai from a parched water-scarce land into an island! Let us better be respectful to Mother Nature and not wag our naughty tails by polluting her! This is the important lesson that we have to take back from this experience. Thanks to all, again, for their support to flood affected areas. Let us all #PrayForChennai!